This bagel sandwich is perfection! Make the herbed cream cheese first. Finely chop your fresh herbs and mix into the vegan cream cheese. I also added a sprinkle of powdered garlic and onion. Set aside. Fry up the tempeh bacon in olive oil in a small skillet until the edges are crispy. While that's cookin up, thinly slice the tomato and mash up half an avocado. Crack salt and pepper over both. Last, spread Earth Balance on each half of your bagel, then fry buttered side down on a skillet until nice 'n' toasty. When it's finished, spread avocado mash on one half and herbed cream cheese on the other half. 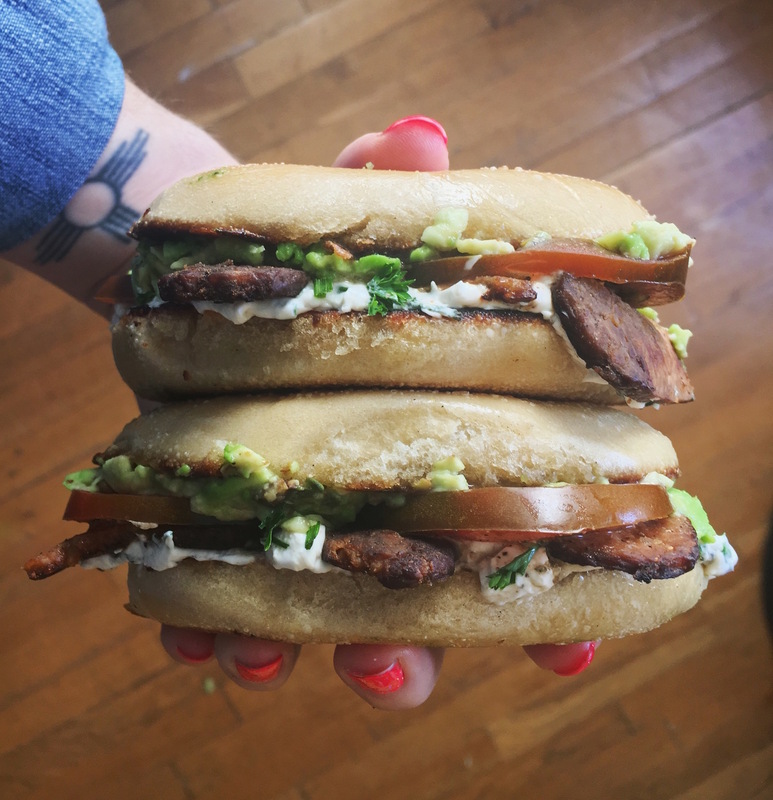 Layer the tomato and tempeh bacon, close that sandwich and enjoy!